The Scottish Friendly Children’s Book Tour has been running since January of this year, when it started in Yorkshire. There were a week of events in the very Northern towns of Sheffield and Hull. An amazing 1,500 kids were able see Jonathan Meres chatting about his “World of Norm” children’s books. Bedtime for Tiny Mouse . The aim of the tour is to encourage reading in kids, and also to provide a platform to offer tips to adults when reading with their children. The tour has also seen Children’s Laureate Malore Blackman, and the poet and musician, James Carter, share their stories and experiences with kids in Scotland. For September, Nicola Davies, the zoologist and illustrator, will be popping into Argyll & Bute to give kids a further buzz. She will now be visiting more schools to help them get their reading boots on, as well as their wellies as autumn approaches! Nip on over to her page – bet you recognise her? I did, from the Really Wild Show – wonderful TV program, and her books are just as engaging and fun. For up to date info on the tour, do check out the Scottish Friendly Facebook page on the events, as well as their Twitter account. They are posting regular photos and some videos to give you tips on encouraging kids to read. Why not check it out? 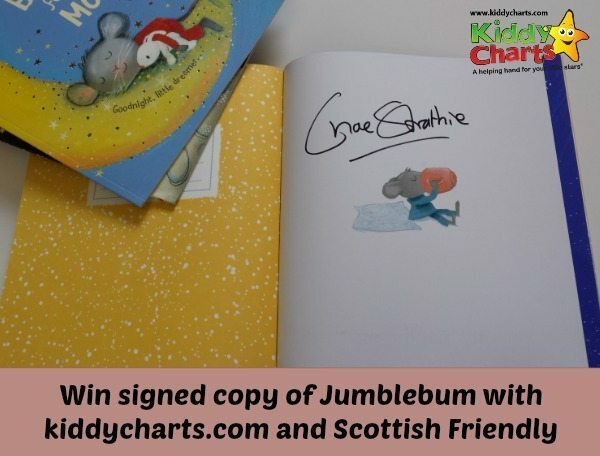 For a chance to win this charming, and unique prize, then fill out the competition widget below, and you are in with a chance of running off with a signed copy of the book. The closing date for this competition is September 29th – so come on plenty of time for you to enter, and why not nip over and see what other blog competitions are out there on the internet by using our listings? 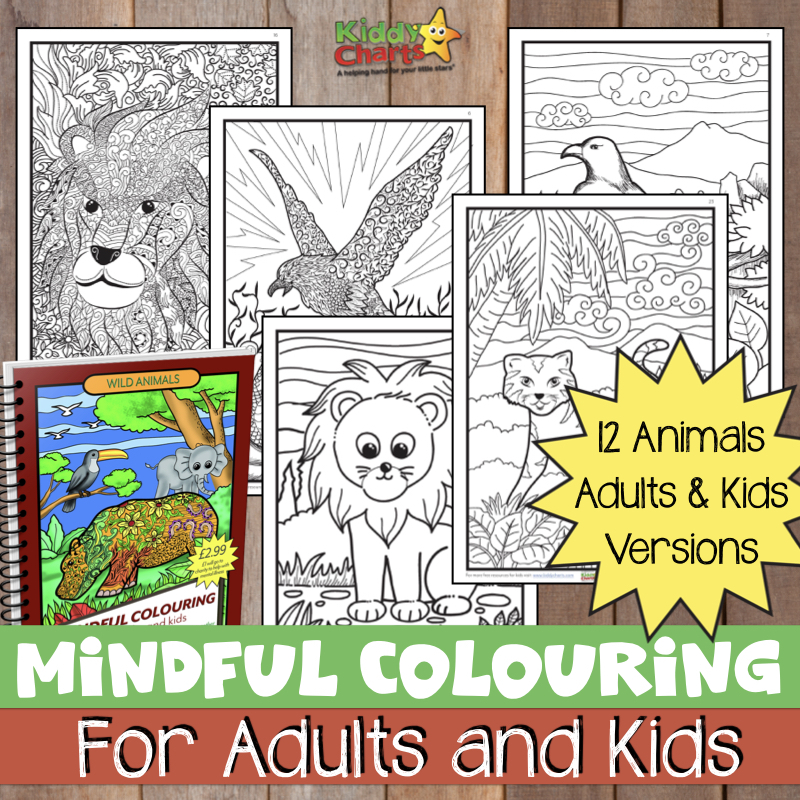 You can check out our other giveaways on the KiddyCharts site too. If you share the url you are given after entry, and your friends enter, you will get another two entries as well. For full terms and conditions, check our our standard KiddyCharts T&Cs. My daughters book are accessible in her bedroom and our lounge plus she has lots at my mums too. We have stories at bedtime too. I encourage her to look at the pictures and I’m never too busy if she brings me a book to read. 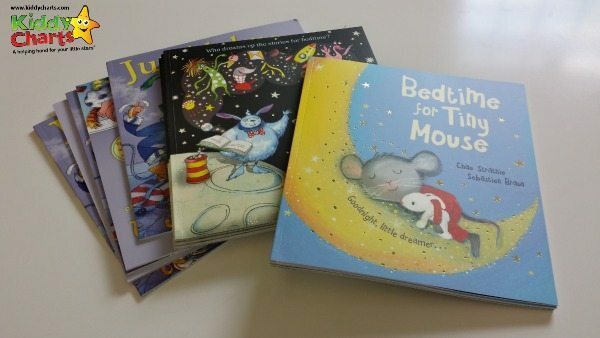 Read to them regularly when they are small & take them to the library/book shops to choose books themselves. Get books featuring characters children are already familiar with and like from tv and/or dvds. Make it part of your routine, we read books at bedtime every night and the children really look forward to it. Having books all around the house and rarely say no (if possible) if they ask you to read to them. I think by seeing me enjoy reading, it encourages them to pick up a book. Make it fun and always do it in a relaxed environment. Don’t force it on them and let them pick books they like! This book would make a wonderful addition to my son’s recently re-furbished school library. Let them see you enjoying reading – read them a range of books at bedtime – from poems to rhyming picture books, funny stories, comics etc!